Jeddah, Saudi Arabia: Saudi Arabia is quietly planning to raze slums in one of its largest cities to make way for newer, restored neighborhoods as part of a wider plan to keep up with soaring demand for affordable housing. To address the housing shortage and public grumbling, the Red Sea city of Jiddah is a testing ground for a plan that includes getting rid of most of its roughly 50 unplanned settlements, which comprise a third of its built-up area, according to municipality figures. If this new model for revamping the kingdom’s second-largest city succeeds, it would be replicated throughout Saudi Arabia in areas where aging infrastructure needs overhaul. In 2011, Saudi blogger Feras Bugnah was detained for several days with his crew for making a video on poverty that showed slum housing in the capital, Riyadh. Bugnah’s video said that 70 percent of Saudis do not own their own homes. Saudi Arabia is the world’s top oil exporter, the Arab world’s largest economy, home to some of the world’s super rich, and known for its cash handouts around the world. At the peak of Arab Spring protests in 2011, King Abdullah announced a $130 billion public spending plan that was largely seen as a move to buy domestic stability. He raised the monthly minimum wage to $800 and set aside around $70 billion to build 500,000 apartments for low-income Saudis. He promised millions more for the government’s housing loan fund, vowed to fight corruption and pumped some $37 billion into a fund for lower-income Saudis to access interest-free loans for needs such as marriage and buying furniture. Fayyaz Ahmad, associate director of real estate adviser Jones Lang LaSalle in Saudi Arabia, says a third of new entrants into the workforce cannot afford a house costing more than $133,000, which in a city like Jiddah buys a small two-bedroom apartment. Jiddah resident Muhammad Al-Bakri, 30, and his friends founded the Young Initiative Group, which seeks to address social challenges in their hometown. His perspective changed in 2010 when he and a group of wealthy friends decided to visit the poor Jiddah neighborhood of Harazat and pass out air conditioners to needy families. It was the first time they had been to such an impoverished area, where families live in cramped apartments and children struggle to find shoes. “When we first came back with the pictures, people asked me where in Africa is this. I told them it is 20 minutes away from where we are,” Al-Bakri said. “Most people are in a bubble. ... That’s the divide we have,” Al-Bakri said. 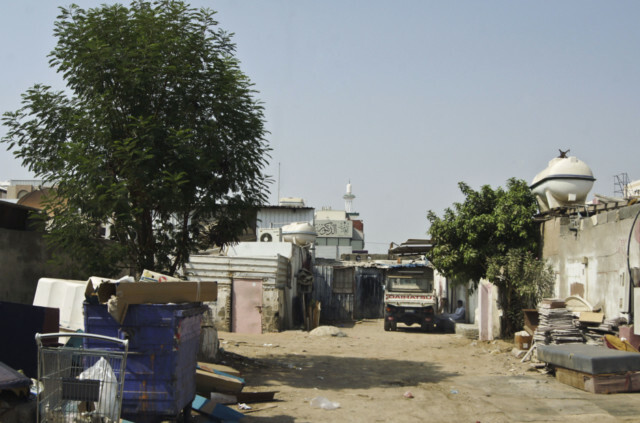 Usamah Shehatah has spent countless hours drafting proposals to deal with Jiddah’s slums. He runs the Slum Areas Development Department for the Jiddah Development and Urban Regeneration Company, Saudi Arabia’s first municipality-owned agency tasked with tackling the country’s housing gap. Other cities across Saudi Arabia, including Mecca and Riyadh, are following suit with similar models. Shehatah says he hopes the initiative can “recycle” Jiddah’s slums. 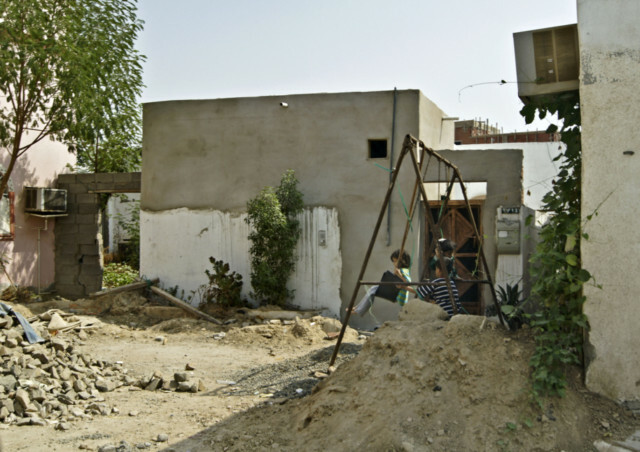 He has a proposal for transforming the Al-Salamah slum, though residents do not know about it yet and the agency’s board of directors has yet to approve his model. Recently, the Jiddah Development and Urban Regeneration Company oversaw the construction of five dams and reservoirs, and a sixth is nearly complete. The dams were built in the aftermath of the city’s devastating 2009 flash floods that killed more than 100 people and unleashed a wave of criticism against the monarchy. Shehatah says that to successfully restore poor neighborhoods like the Al-Salamah slum, the city must take into account their history and residents’ right to participate in decision-making. The plan does not, however, address the needs of foreign migrant workers, who make up two-thirds of the slum’s 2,000 residents, many of them in the kingdom illegally on expired or invalid visas. A campaign launched last year sought to expel such illegal foreigners to create more jobs for Saudis. With few ways to vent their frustrations in the tightly controlled kingdom, young Saudis have launched an Internet campaign on Twitter under the slogan: “The salary does not cover the needs.” It is aimed at pressuring the government to raise salaries in the public sector, where most Saudis work. Nidal Taiba, vice president for development at the Jiddah Development and Urban Regeneration Company, says the agency was created in 2008 to cut through government red tape and bureaucracy and begin immediate work on new housing projects. With almost a third of Saudis under the age of 15 and more than half under 25, Taiba says supply for affordable housing simply can’t keep up. “It’s not for lack of effort that we have this shortage. It’s simply because demographics are working against us,” he said. “It is either too expensive or it’s too scarce and people just have to end up making ends meet,” he said.